While doing some bigger pallet projects like building an outdoor chicken coop, an outdoor kids playhouse or a backyard sofa frame, we are mostly left with lots of pallet pieces having soft and hardwood nature! 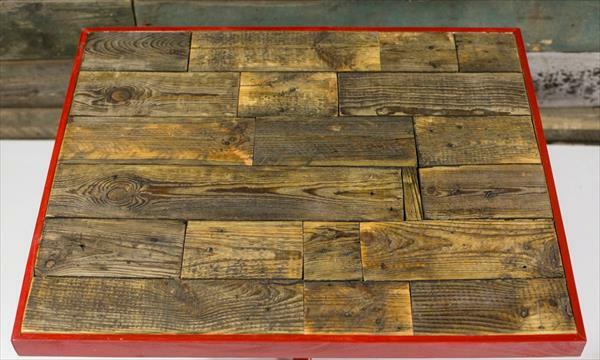 These odds and ends of pallets can be planned for beautiful multi-tone wooden tabletops that will also have a distinct wooden look a textured surface at the same time! 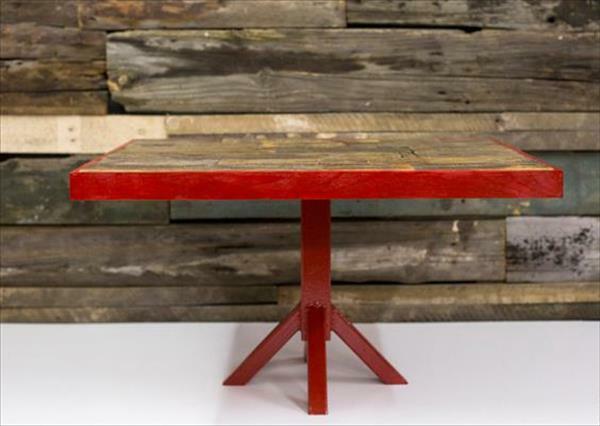 This DIY pallet coffee table with steel pedestal base is the perfect example here to get your to the point! It has a table made of bits and pieces of pallets having different natures, wooden tones and sizes! 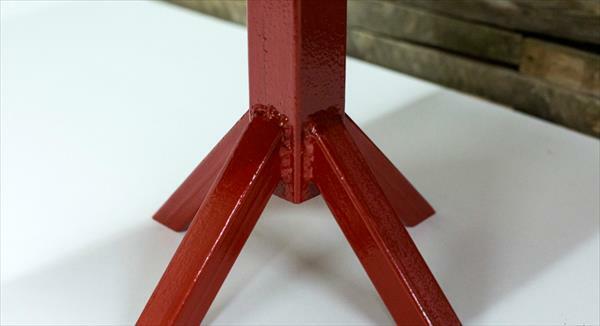 After a complete installation these integrated pieces have been timed to a fine mini table top that is has been supported by a home-made steel pedestal base for an overwhelming table design! 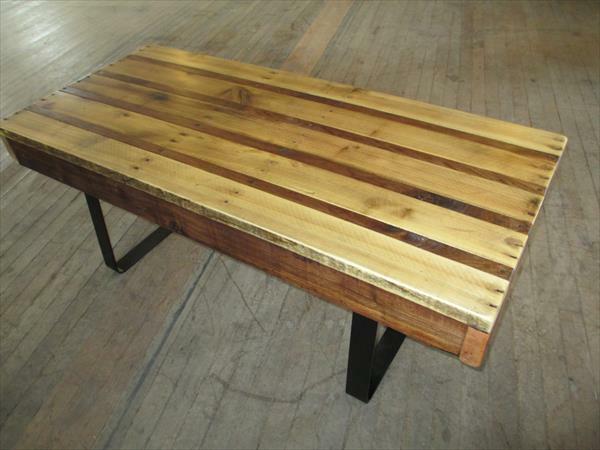 Table would be multifunctional at both patio and in living room and can be used for both utility and decorative functions! Use the paint to get it in a shabby chic, modern chic or vintage inspired style!